Professor Derek Krueger of the University of North Carolina will launch the 2017 Greek History & Culture Seminar Series, offered for the seventh consecutive year by the Greek Community of Melbourne. The lectures are presented by distinguished academics from Australia and overseas. The topic of Professor Krueger’s lecture is “Beyond Eden: Adam, Eve, and the Human Condition in Byzantine Hymns”. 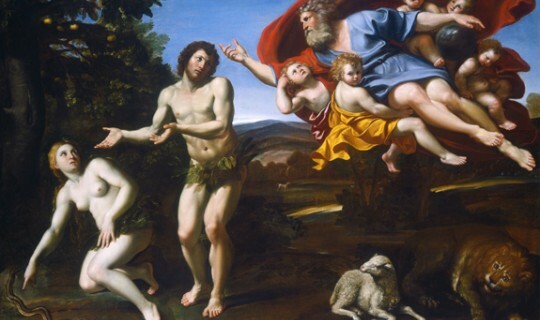 According to Professor Krueger Byzantine tradition held that after the Fall, Adam and Eve were placed opposite Eden, close enough to see it while they tilled the land and suffered. This exile from Paradise prompted acute grief and lamentation. Liturgical poets explored the first-created humans' emotions to understand the human condition: difficult labor, alienation from God, and the need to repent. This seminar considers Greek hymns from the fifth to the ninth century that dramatize Adam's - and sometimes Eve's - state of mind through first-person monologues and dialogue. Professor Derek Krueger is the Joe Rosenthal Excellence Professor of Religious Studies at the University of North Carolina at Greensboro. After growing up in Southern California, he received his AB from Amherst College in 1985 and his PhD from Princeton University in 1991. He has taught at UNCG since then, and served as Department Head from 2004 to 2010. He has written on a variety of subjects in late antique and Byzantine cultural and religious history, including hagiography, hymns, liturgy, monasticism, Christian material and visual culture, the everyday religion of lay Christians, and the reception of the Bible. His research has been funded by the National Endowment for the Humanities, the Institute for Advanced Study in Princeton, the American Council of Learned Societies, the Israel Institute for Advanced Studies in Jerusalem, the European Institutes for Advanced Study (EURIAS), and the Dumbarton Oaks Center for Byzantine Studies in Washington, D.C. He is the author of three monographs: Symeon the Holy Fool: Leontius’s Life and the Late Antique City (University of California Press, 1996); Writing and Holiness: The Practice of Authorship in the Early Christian East (University of Pennsylvania Press, 2004); and Liturgical Subjects: Christian Ritual, Biblical Narrative, and the Formation of the Self in Byzantium (University of Pennsylvania Press, 2014). He is the editor of Byzantine Christianity, the third volume in the series A People’s History of Christianity (Fortress Press, 2006); Prayer and Worship in Eastern Christianities, 5th to 11th Centuries (with Brouria Bitton-Ashkelony; Routledge, 2017); and The New Testament in Byzantium (with Robert Nelson; Dumbarton Oaks, 2017). He served as President of the Byzantine Studies Association of North America, 2011-13, and currently serves as a Senior Fellow in Byzantine Studies at Dumbarton Oaks.